How to Use a Popcorn Popper. Popcorn is a staple in most households. It has become a favorite snack food, especially since it has become so easy to prepare. There are many varieties of popcorn poppers, but they all work along the same principle. You keep the popcorn moving, heat it up and wait for the kernels to explode. There are a few rules that apply to most popcorn makers. Start with fresh popcorn. Check the expiration date before you purchase your popcorn. Stale popcorn doesn't pop well and may have a chewy texture if it does pop. 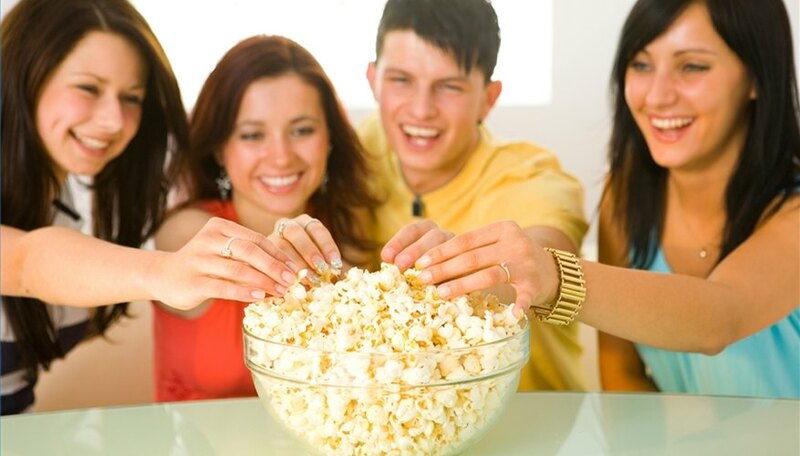 Store your popcorn in an airtight container in a cool, dry place. Contrary to what some believe, the refrigerator isn't the best place to store popcorn. The kernels may become too dry and stale. Remove the popping chute from the popcorn popper and pour ½ cup popcorn kernels into the bottom of the popping chamber. Put butter into the butter melter if your popcorn maker has one. If not, melt your butter on the stovetop or in the microwave. Place the chute back onto the popping chamber. Place a 4-quart, heatproof bowl under the popping chute. If the bowl isn't high enough to touch the bottom of the chute, place something stable underneath it to raise it up. If it isn't close enough, the popped corn has a tendency to fly out all over the room. Plug the popcorn maker in and wait for the popcorn to begin to pop. It takes about 3 minutes to finish popping. Unplug the machine when it has almost finished popping all of the kernels to keep the last few from getting too hot and burning. Apply your melted butter and add salt or other seasonings to suit your taste. Use your hot air popcorn popper to make unseasoned and unbuttered popcorn for use in your favorite flavored popcorn recipes. You may have to let your popcorn maker cool between batches to keep it from over heating.